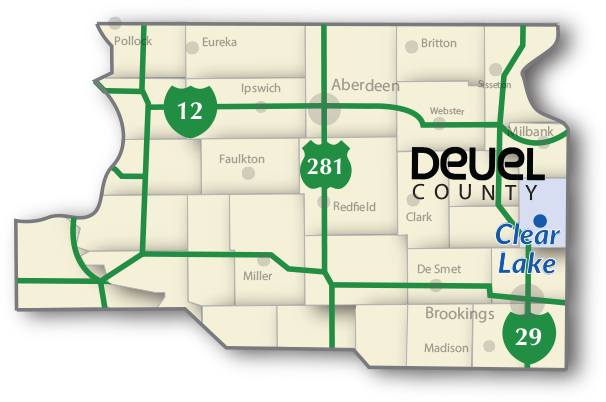 Deuel Area Development, Inc., is the regional economic development organization serving Deuel County in the east central area of South Dakota assisting individuals, as well as supporting all industries with business development goals and Agriculture within the region. DADi works for public, nonprofit, private entities and agriculture offering various programs, education, or referrals to resource providers in the area. Deuel Area Development maintains strong partnership capacity as well as statewide connections for small businesses and large corporations. We are committed to economic and community development within Deuel County. Businesses are invited to become members.